Mission Log Live is back (mostly)! To celebrate, we’re welcoming our friends from the Two Guys One Trek podcast, Ira Heinichen and Josh McClenney. 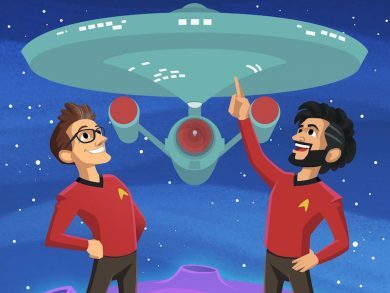 We talk about the Trek journey for a total newbie plus get into what makes animated Star Trek so good – and there’s so much more! Pour a glass of the good liquid, put in your earphones, and join the Trek!